Joja Wendt began playing piano at age four, and went on to graduate from the Manhattan School of Music. In 1990, Wendt joined blues and rock legend Joe Cocker on tour, and developed his own style, which is a mix of jazz, classical music, ballads and the rhythms of rock. 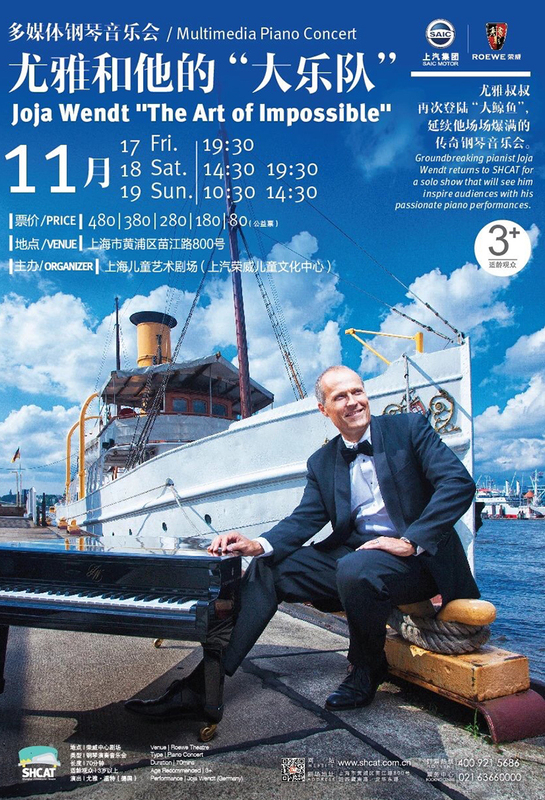 This virtuoso of many different styles has won the Louis Armstrong Award and been the top-selling pianist in Germany for the creative and fun way he presents his music. China is sure to love his strong stage presence and the way he creates a special connection with the audience. He’s in town for five multimedia piano performances — a must-see for fans of modern keys.